Apple’s iPhone is pervasive in the enterprise, but it’s important to note how the iPad helped reinforced Apple's workplace presence. Apple’s iPhone has become pervasive in the enterprise, but it’s important to note that what really turned the company’s business computing fortunes around wasn’t the smartphone, but its bigger brother – the iPad. Apple’s iPhone transformed the industry, but it is important to remember that when the company shipped the first iPad in April 2010, iPhones weren’t as powerful as they are today. That year’s model was the iPhone 4, information about it was leaked when a prototype was left in a California bar and the release was marred by complaints about phone reception, "antennagate." 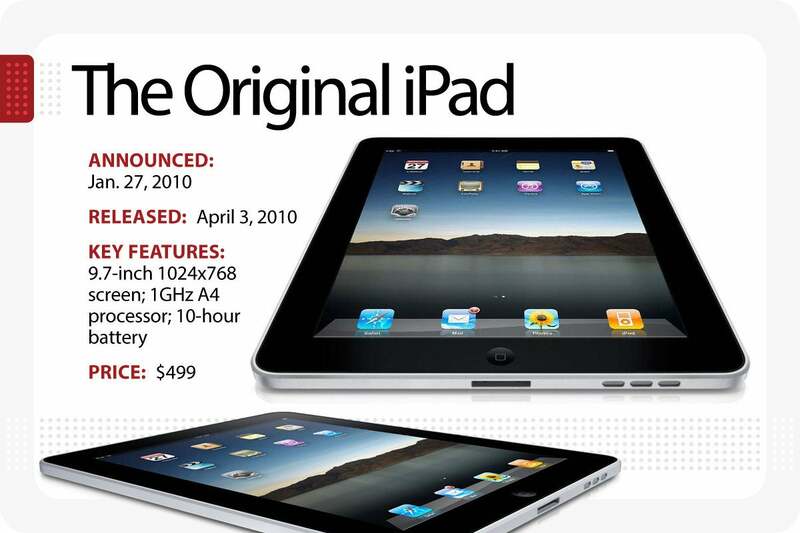 The device ran the same A4-series chip Apple deployed inside the first iPad; what was missing were the apps. With a few exceptions, almost every single top 10 app distributed through the store was a gaming app. As amazing and transformational as iPhones were, they were mainly seen as powerful and sophisticated smartphones that could be used to while away time playing Angry Birds. The iPad created a reality in which mobile devices became seen as productive devices. This is what transformed the mobile enterprise. Some of you may remember netbooks. Speaking in 2010, Forrester analyst Sarah Rotman Epps said that the iPad: “Has a steamroller of momentum behind it that indicates incredibly strong demand for this entirely new form factor." People were amazed at the iPad’s all-in-one shape, its huge glass display, its souped-up A4-series chip, and how useful it could be for taking notes, writing documents and working on the move. The feedback was that iPads were excellent machines for lots of tasks and useful for media consumption and gaming when travelling. They also benefitted from the huge success of the iPhone and the growing buzz around the creation of mobile apps. iPads weren’t cheap. They cost from $499. At that time, iPhones cost from $199, while an iMac or MacBook Pro set you back $1,199 or more. Millions of Apple customers jumped in as first adopters. But the aura around Apple at that time meant tens of millions more wanted to take a look – the iPhone and iPad had created enough positivity to nurture this interest. All the same, $499 is $499 and not everyone wanted to pay the fare. One group that could pay the price were senior executives across the Fortune 500 companies. Many of these execs were beginning to think about dumping BlackBerries in favor of iPhones, but they weren’t completely confident in the app development process and still had hang-ups around Apple as an enterprise company. The iPad was interesting because not only did it run iPhone apps, but as a new platform IT leaders could justify purchasing it as a research cost. T\housands did. I saw this enthusiasm among enterprise leaders first hand when I spoke at a conference of Chief Financial Officers in Geneva in 2010.
iPhones and iPads were being offered as prizes by exhibitors at the event and the senior execs were eagerly putting their business cards into the prize draw jars. I noticed that many business leaders at the show held a BlackBerry in one hand and an iPhone in the other. Dozens of people at the event noticed and came to me to talk about the Apple product I had with me: A first-generation iPad. They told me about the enterprise apps they were testing that used Apple’s devices. They wanted to touch the iPad and see what it did. They looked at new apps from Bloomberg, BNP Paribas and others that ran on iPads. They wanted to find out if Apple's systems could work for them and in their business. The journey back to the past is rarely linear. What happened next is that iPads saw increasing use in enterprise IT for the following few years. Apple continued to innovate its mobile devices, and business users soon discovered that the increasingly powerful apps they’d created that ran well on iPads also ran well on iPhones. These enterprise chiefs had picked-up on Apple’s new platform out of curious interest, but soon found that the work they or their teams needed to do could be accomplished on iPhones. That revelation meant that business bosses were exposed to Apple’s solutions (sometimes for the first time) and were happy enough with the experience that they became much more willing to permit employees to bring their own devices into work. In other words, the iPad opened doors that accelerated iOS device adoption in IT. Apple meanwhile reached key alliances with the big names in the sector, an ecosystem of supporting services began to form, and the iPad Pro was introduced – focused (or so it seemed) on the creative, rather than the corporate markets. Since those days, iPad share in the enterprise has shrunk a little, but iPhone share is higher than ever before. There’s little sign of any decline. Apple right now is setting the scene for its next big iPad launch on Oct. 30. It really should make a case for using these devices as productivity tools, as well as in the creative market. While iPad opened the door for business use of iPhones, Apple must now figure out how those iPhones will open the gates for the next big tablet upgrade. In the future? Who knows what else the company has planned? Got a story? Please drop me a line via Twitter and let me know. I'd like it if you chose to follow me on Twitter so I can tell you about new articles I publish and reports I find. Google+? I hope you are part of AppleHolic's Kool Aid Corner community, but as Google is closing its social network, please also follow me on Twitter and join me in my MeWe groups, AppleHolic’s bar & grill and Apple Discussions.